DISTRIBUTION: South America: Amazon and Orinoco basins. HABITAT: Riverbeds, shady streams, flooded forest areas. 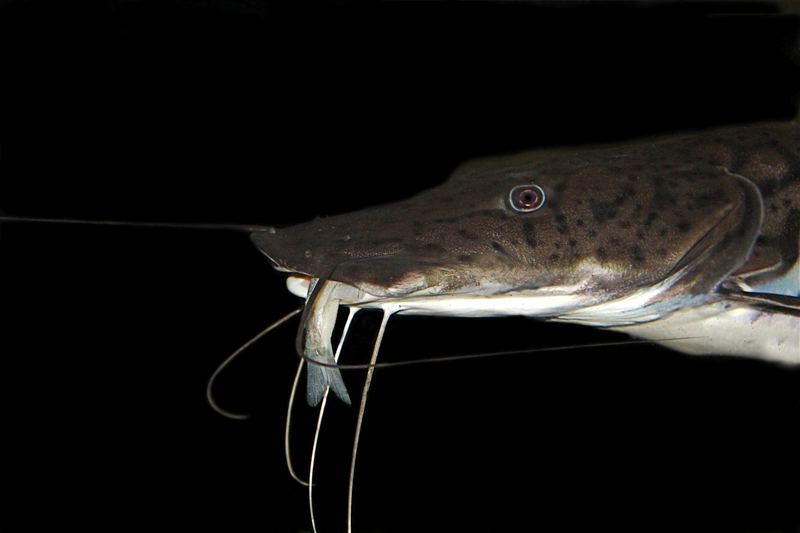 APPEARANCE: Elongated, streamlined body with long snout; large mouth with three pairs of long barbels. 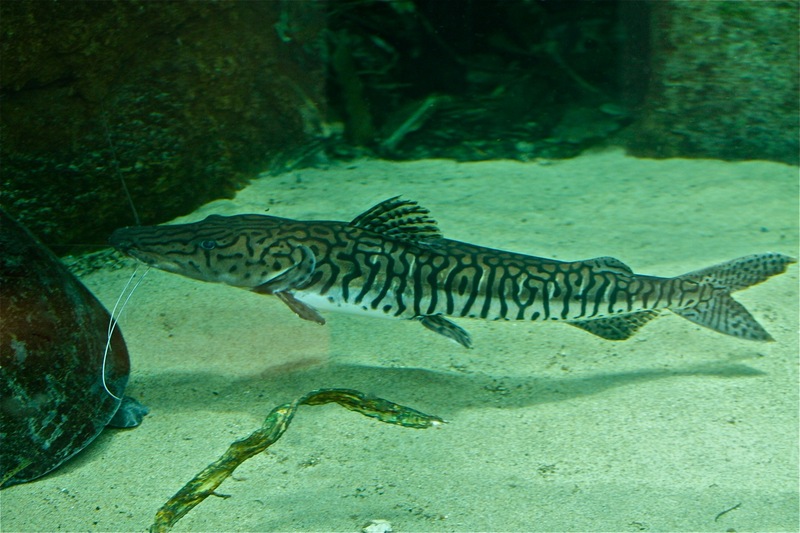 Black spots and stripes on body and fins in irregular pattern; the pattern is banded, thus the common name. Usually silver to brown above; white to silver below. Can grow to 90 cm or more in captivity. DIET: Nocturnal hunter; feeds on fish and crabs. REPRODUCTION and DEVELOPMENT: Separate sexes, external fertilization. Does not guard eggs. Prized as food and game fish, and often found in South American food markets. Flesh is succulent.